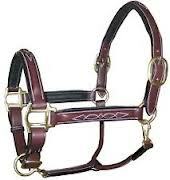 Halter with decorative stitching on cheek pieces and noseband. Halter with adjustable nose. Padded on nose and head piece. Heavy Halter in oil pull up leather . With detachable head piece. 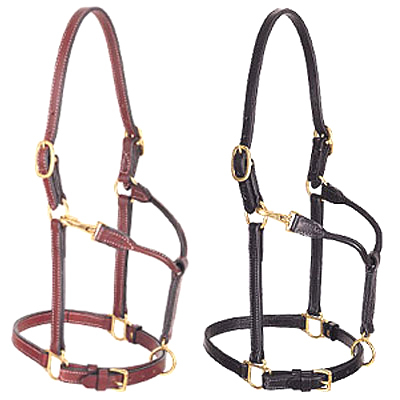 Halter in eco-friendly harness leather with solid brass fitting. 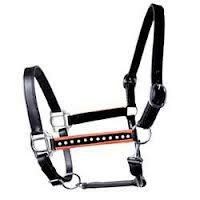 Halter withFancy stitching on noseband, cheek piece. Matching or contrast padding. 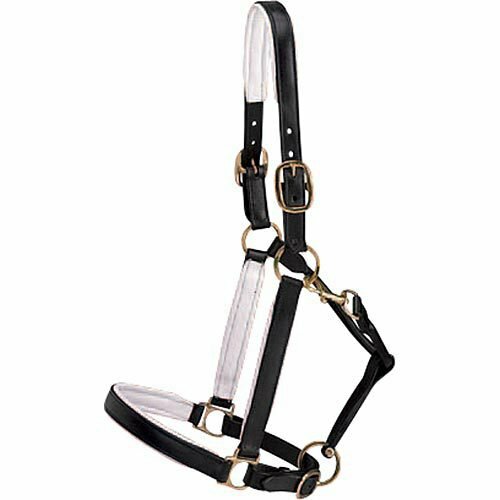 Easy clip/release track halters. With Solid Brass fitting and snap hook. 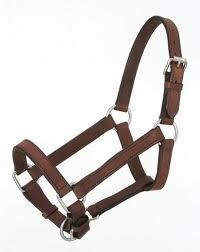 Leather Halter in 32mm width heavy leather straps. With Stainless Steel/ Solid Heavy brass fittings. Leather halter with fancy bling cheek piece. 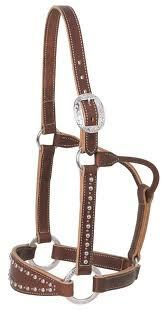 Leather halter with drop noseband style nose with fancy bling decoration. 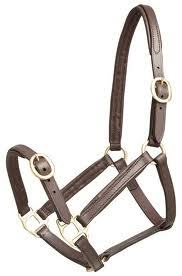 Thin Line series leather halter with 16mm width straps. 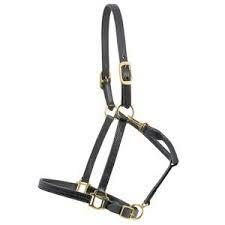 Leather halter with raised noseband and raised crown/headpiece.